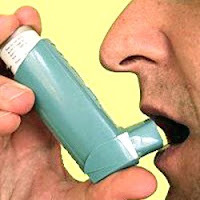 A new health research says that men who 've had asthma or eczema face a lower risk of getting affected by cancer. The research shows that men who had eczema 've lower risk of suffering from lung cancer & men who had asthma face a lower risk of stomach cancer. These two diseases are the cause of a hyper-active immune system that removes the abnormal body cells & thus reduces cancer risk as well. The study was conducted on 3,300 men with cancer aged between 35 & 70 years & also a group of 512 people who did not 've such a problem. Data was collected from these subjects to develop connection between allergies & cancer. The study was helpful in developing dimensions to know more about immune & molecular systems. This in turn helped to know more about immunostimulation that is one of the conditions for preventing cancer. The Medical Research Council of Canada & the Canadian Cancer Society along with Canadian Institutes of Health Research funded the study. This report comes from a study that was conducted by researchers at the Institut Armand Frappier in McGill University & Universite de Montreal.